Starbucks says it will eliminate plastic straws from its stores globally by 2020, a nod to the growing push for businesses to be more environmentally friendly. A week after Seattle banned plastic drinking straws and utensils, the company said Monday that by 2020, it will be using straws made from biodegradable materials like paper and specially designed lids. The company already offers alternative straws in Seattle. Other cities, like Fort Meyers, have banned plastic straws as well. Similar proposals are being considered in places like New York and San Francisco. McDonald's shareholders voted down a proposal requesting a report on plastic straws in May. McDonald's also recently said it would switch to paper straws in the United Kingdom and Ireland by next year, and test alternatives to plastic straws in some U.S. locations.The burger chain also said this year it would use only recycled or other environmentally friendly materials for its soda cups, Happy Meal boxes and other packaging by 2025. 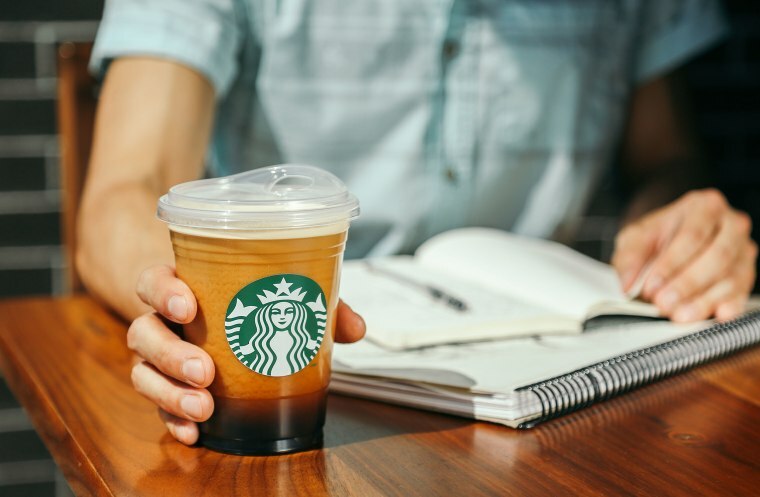 Starbucks notes the cups for its cold drinks are made from recyclable materials. Environmental activists have been pressuring businesses to ditch plastic straws because they can end up in the ocean and hurt marine life. The push gained traction after a viral video in 2015 showed rescuers removing a straw from a sea turtle's nose in graphic detail.